Calling Husqvarna owners! Source your genuine on-road Husky spare parts from Fowlers, either online, by ‘phone or in person at the Parts Counter. Fowlers Motorcycles is now an officially-appointed Husqvarna road bike dealer and its Bristol warehouse has been fully loaded with genuine Husky parts. 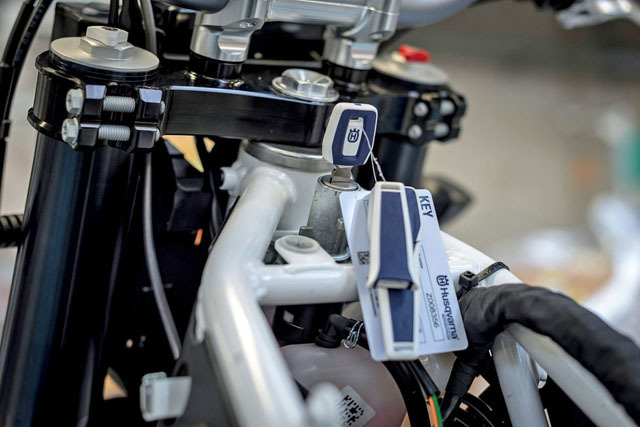 The multi award-winning dealership already carries unrivalled stocks of original parts for Honda, Suzuki, Yamaha, KTM, Triumph, Aprilia, Vespa, Piaggio, Moto Guzzi, Gilera, Derbi and Kawasaki motorcycles – the addition of the Husqvarna on-road franchise makes it truly a ‘one-stop-shop’ for spare parts. You can check Fowlers’ stock and order your Husky parts wherever and whenever you wish using Fowlers’ online EPC (Electronic Parts Catalogue), which contains images, descriptions, diagrams, specifications and prices to make your search so much easier. To find out more about genuine Husqvarna on-road parts, call Fowlers on 0117 977 0466 or view the EPC at www.fowlersparts.co.uk. This entry was posted in Spare parts on 03/07/2017 by Dan Sager.